Sarah Palin’s visit to the earthquake-ravaged Haiti showed she is not “afraid to get her hands dirty,” says the Rev. Franklin Graham. 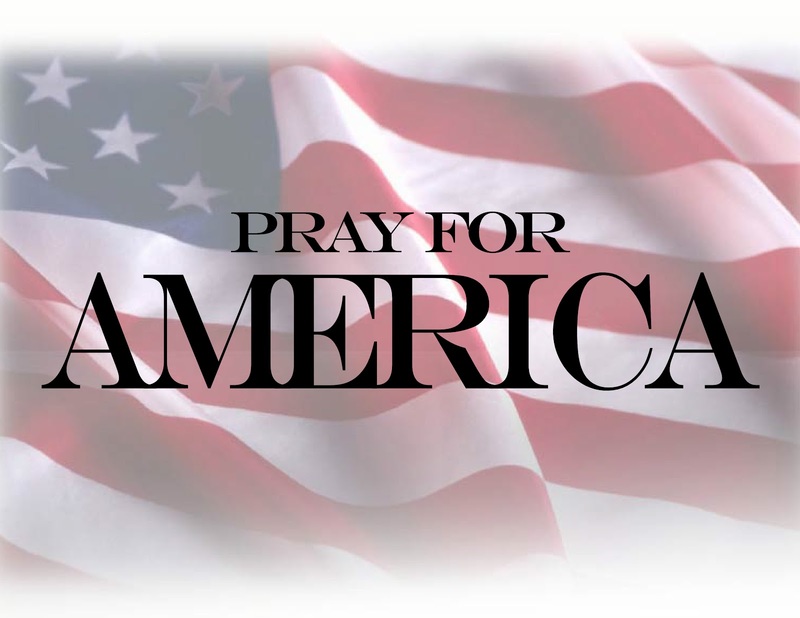 The former Alaska governor is a “woman of strong principle and no question she has a strong faith in God,” the son of renowned evangelist Billy Graham said during a Newsmax.TV interview in which he discussed his hosting her Haitian visit. The January earthquake killed more than 200,000 people and left more than 1 million homeless. The poverty-stricken country was hit with a cholera epidemic in October and then widespread flooding after Hurricane Tomas in early November. Samaritan’s Purse has set up two clinics, including one with 200 beds, to treat a disease so deadly in can kill in hours, Graham told Newsmax.TV in the exclusive interview. Graham, who said he has worked with Palin on a number of projects in Alaska, invited her to Haiti to view the relief efforts. Accompanying her on the tour last weekend were her husband, Todd, and daughter Bristol. The former GOP vice-presidential candidate “has tremendous compassion for people, she loves people, and she cares deeply about people,” Graham said. “She was an encouragement not only to the staff and to the relief workers (but) even to the Haitian people who didn’t know her,” Graham said. 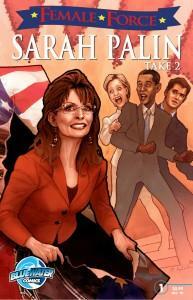 Bluewater Productions has released the sequel to its biographical comic book about Governor Palin. It will be available on book shelves in January and is available for pre-order at Amazon.com now. A comic book on former Alaska governor Sarah Palin’s life had come out in 2008, and now a sequel to it ‘Female Force: Sarah Palin, Act 2′, has been released. The book is by Bluewater Productions, which has been producing comic books of political figures. The sequel looks at Palin’s life since the 2008 election, including her celebrity appeal and whether she’ll pursue the presidency in 2012. “You can’t help but admire Sarah Palin for her tenacity and her ability to find the spotlight wherever she goes,” the Politico quoted Dan Rafter, the sequel’s author, as saying. “The reaction she received for her big tea party speech is just one example of the passion that Palin ignites in her fans. It’s hard for me to imagine someone like Mitt Romney generating that kind of electricity,” he said. President and founder of Bluewater Productions Darren Davis agrees with Rafter. “You just can’t ignore Sarah Palin,” he said. “Even those who’d never vote for her can’t deny that the woman has an amazing charisma. She can get away with missteps that other politicians can’t afford to make,” he stated. PowerWoman Sarah Palin will be immortalized in comic strip form for the second time this winter by Bluewater Productions. Bluewater Productions made headlines in 2008 when its Sarah Palin biography comic sold out. Now Palin is returning to Bluewater with a sequel. Female Force: Sarah Palin, Act 2 focuses on Palin’s life after the 2008 presidential elections. The book examines the reasons behind Palin’s increasing celebrity, and the threat that she might pose to both Democrats and mainstream Republicans should she decide to run in 2012. Sarah Palin, it turns out, remains extremely popular in the US – at least among readers of comics. A graphic biography of the Alaskan governor was released in the US yesterday and has been flying off the shelves, with its publisher already rushing back to press for a second printing. Telling Palin’s life story – from PTA president to her surprise nomination as John McCain’s running mate, to the pair’s failed bid for the White House – the 32-page comic is an “even-handed perspective” of Palin’s accomplishments, according to its publisher Bluewater Productions. Additional information about the original version can be found here. THE SENATE IS ABSURD ! YOU SHOULD BE FURIOUS! 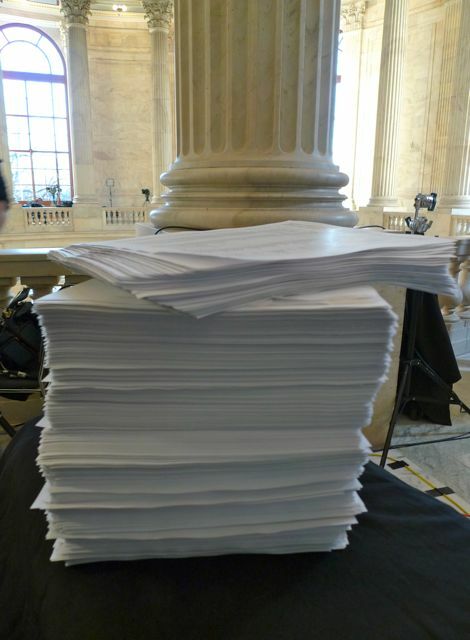 Is there any chance any Senator can or will read this mountain of spending before voting? Of course not. They just guess vote. Anyone who really cares would yell like hell about this. You can’t be intellectually honest if you vote and you don’t even know what you are voting on since you don’t or can’t read it. And yes, it is fair to blame the Democrats – they are the majority party in the Senate and they set the schedule and the agenda. They did this. Also see Governor Palin’s WSJ op-ed about governmental fiscal responsibility here.